A lead-alloy or base silver contemporary copy of a denarius, possibly of Marcus Aurelius as Caesar and dating to the period AD 139 to 161 (Reece period 7). 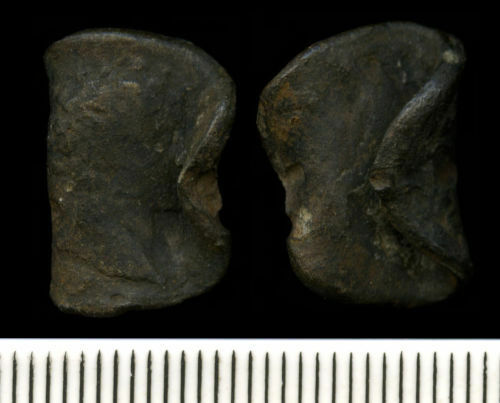 Unclear reverse type depicting figure left with cornucopiae. This coin has been folded and squeezed. Evidence of reuse: This coin has been bent, rolled and squeezed.